In December 2014 a single glove started a passion. Robin Hutchinson just wondered how many single gloves there might be lost in the Surbiton area. To discover an answer he asked people via Facebook to look for and record any sightings. Over a period of five months 819 were spotted. In November 2015 Robin decided to repeat the experiment but introduced a ‘glove spotting’ season running from the 1st of December to the 31st January. 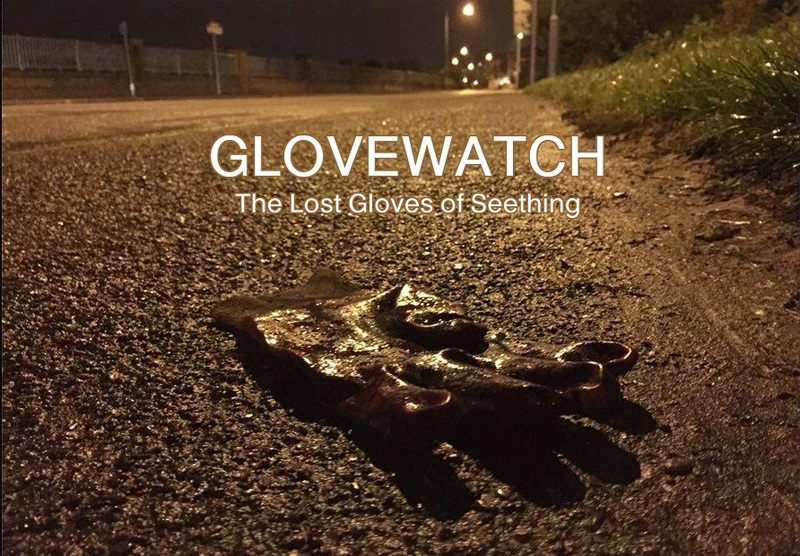 The result from the Glovewatch 2015/16 Season is a remarkable 692 Lost Gloves of Seething. If you want to join in the 2016/17 season then ‘like’ the Glovewatch – The Lost Gloves of Seething page on Facebook. Note to readers – Seething is a ‘state’ dedicated to using creativity to bring people together. It is open to everyone to join in whenever and wherever they like. We believe that by creating things and bringing people together through that activity we can release talents and energies in our varied communities.